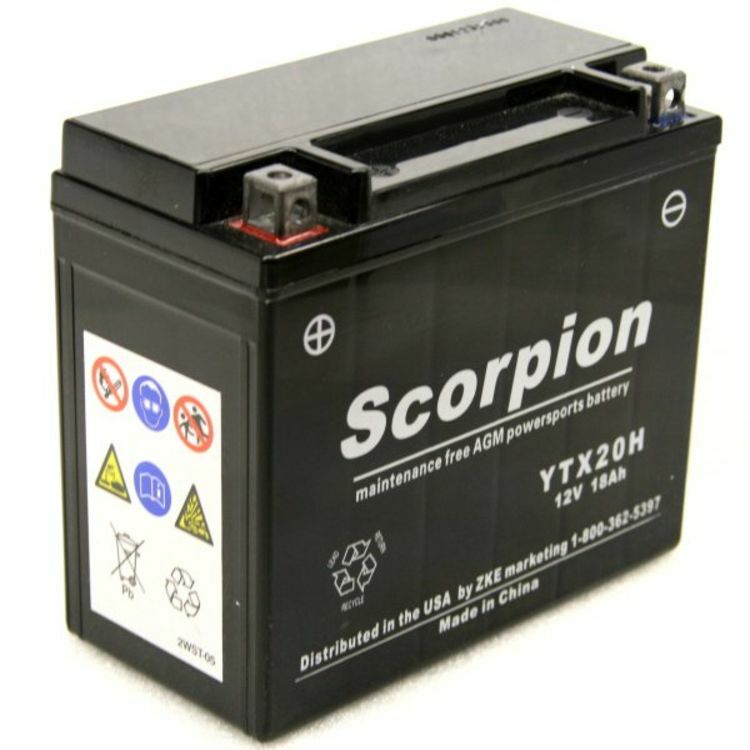 YTX20H-BS High performance battery by Scorpion. These are no ordinary replacement batteries, but a true high performance AGM battery that is designed to meet and even surpass the standards set by your vehicle’s OEM manufacturer. By continually updating and modernizing their manufacturing process, the makers of Scorpion YTX20H-BS batteries have achieved a position in the Powersports industry that is unrivaled around the world. 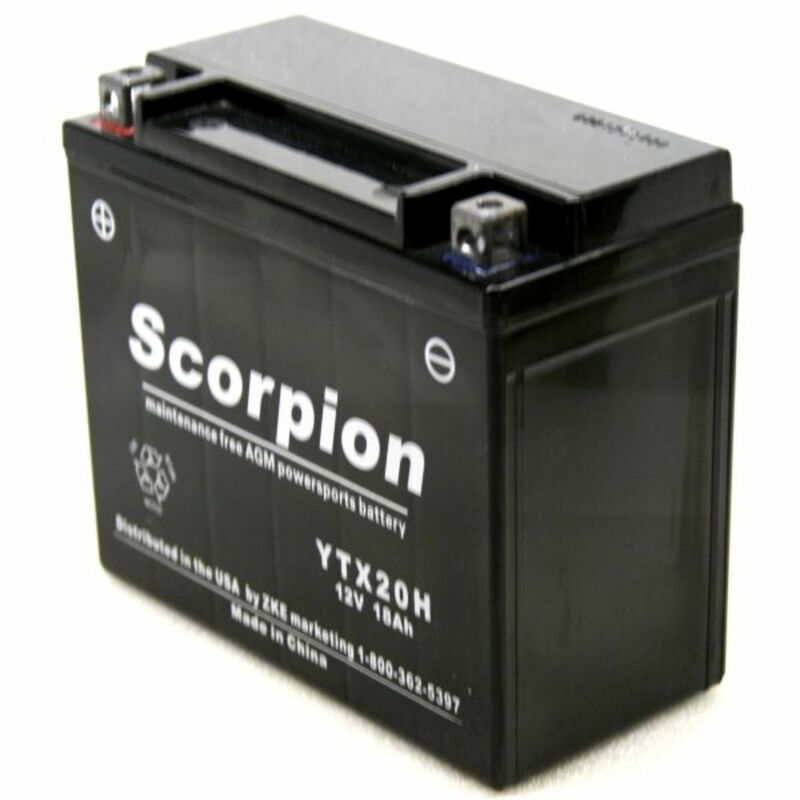 Scorpion is the ONLY battery in the U.S. to currently offer a real MANUFACTURER backed warranty on their products. What does this mean to you? This means that Scorpion is confident enough in the quality of their batteries that they are not afraid to stand behind them. The rest simply ask their distributors to ‘ante up’ and cover the failure. This confidence alone is why BatteryStuff is excited to offer this new YTX20H-BS battery. This is the High Performance version of this battery offering a respectable 320 CCA. 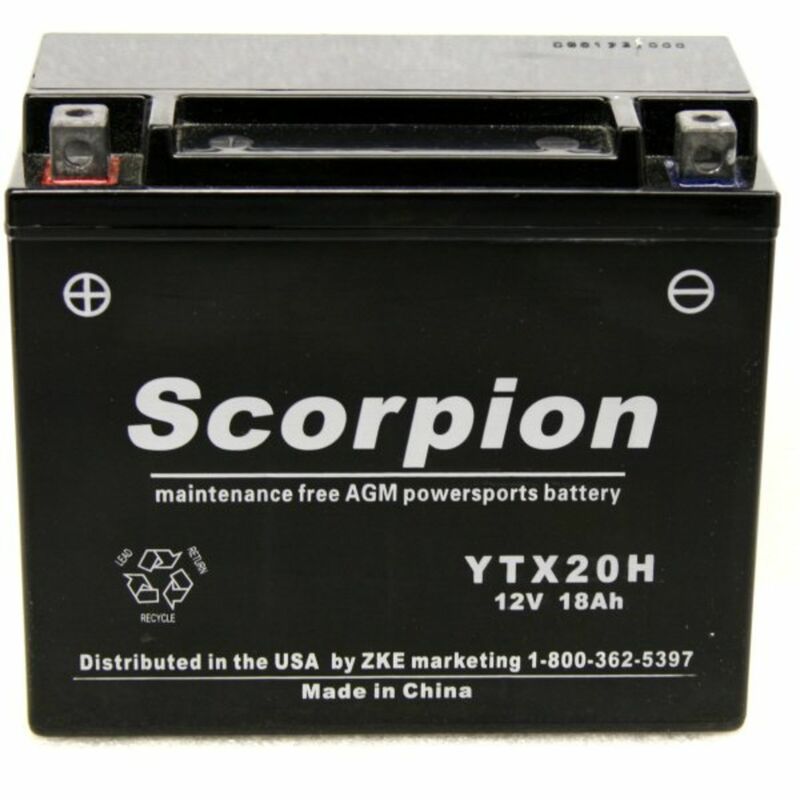 Scorpion recognizes that YTX20H-BS batteries are made of lead, not gold. With that in mind, Scorpion has struck a fine balance between a high quality product and a decent price. You will be impressed! All Scorpion batteries meet or exceed the specs called for by your powersports manufacturer! Do you own the sYTX20H-BS? Please, tell us what you think about it. It helps us provide you with better products. Please note that it may take up to 72 hours for your review to appear. Pros: Your service was great got here fast free shippn (kool) battery great just wanted to say GREAT JOB. Pros: Very helpful, willing, understanding. Cons: required steps to verify it is indeed the battery that has failed and not caused by the charging system. Adds a couple days to getting the battery replaced, but I truly understand the need to be certain. In all the years I've been riding, and all the batteries I've had to replace, the single most unlikely thing occurred when my latest battery arrived, it was but a cameleon. It worked great out of the box and within a couple of weeks and a couple of charging cycles, it went down for the count. Not the fault of BatteryStuff. **** happens. Would deal with them again without hesitation. Pros: Fast Delivery. Good products. Pros: The Scorpion carries a potent sting. This is my second Scorpion and both have performed flawlessly, the older one is used in my Seadoo and has started faithfully more times than I can count. The latest one is in my Artic Cat ATV. The Yuasa it replaced never started the Cat as easy as this one does. Cons: None so far with either battery. Pros: One battery was defective. BatteryStuff replaced it immediately. Excellent service. Cons: No cons to report!